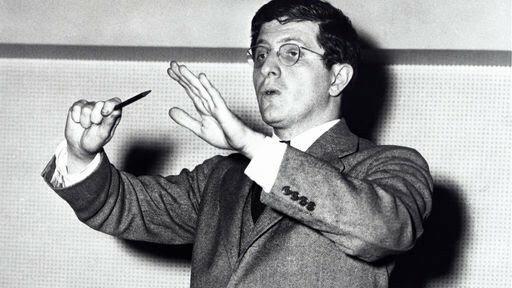 When it comes to great movie composers, they don’t come much hipper than Bernard Herrmann, whose centenary falls today. During his lifetime and in the 30 years before his death, Herrmann has regularly been rediscovered and championed by younger film and music aficionados. How many long-dead composers have had their work recycled for a Quentin Tarantino? Bernard Herrmann did: his theme for the 1968 British film Twisted Nerve featured in Kill Bill Volume 1, in 2003. While movies such as Psycho and Cape Fear have been remade for new audiences, their Herrmann-penned scores have been considered sacrosanct. Suites of timeless music for these films and other from the voluminous Herrmann back catalogue are regularly performed in concert halls. But what is it about Herrmann’s music that has made it so enchanting and so enduring? It is catchy and memorable, but more importantly, it is an integral part of a movie. It is as much of a factor in the artistic success of a film as the image. A Herrmann score is never merely background music; it is always a partner to the action onscreen. It’s impossible to recall Alfred Hitchcock’s Vertigo (1958) without hearing its throbbing, swirling, obsessive love theme, or to picture Cary Grant clambering atop Mount Rushmore without hearing the insistent, driving fandango which propelled the action throughout North By Northwest (1959), or to imagine that iconic shower scene in Psycho (1960), without hearing those shrieking, stabbing violins. Herrmann and Hitchcock worked together on eight movies, the others being The Trouble With Harry (1955), The Man Who Knew Too Much (1956), The Wrong Man (1956) , Psycho, The Birds (1963; on which Herrmann worked as a sound designer) and Marnie (1964). Torn Curtain (1966), the first Hitchcock film in a decade to not have a Herrmann score – or indeed any music during its extended music scene – was a flop. What made Herrmann the ideal partner for Hitchcock was his groundbreaking way of using music. When he started in Hollywood, most film composers were churning out post-Romantic style scores, and the conventional function of music was to communicate intellectual ideas to the viewer in a shorthand form. Music could suggest period of a place; it could comment on the image onscreen, or hint at trouble immediately ahead. Herrmann started his movie career at the very top, with Orson Welles’s iconoclastic Citizen Kane, and it was an apt debut because the young composer, like the young director, wrote his own rules. He used music to communicate emotion, to reflect the psychological and emotional state of the characters. Period and place didn’t enter into it. (After all, what has the fandango, a Spanish dance form, got to do with the plot of North by Northwest? Absolutely nothing.) In some films, such as the beguiling supernatural romance The Ghost and Mrs Muir (1947), the romance between a young widow and a dead sea captain is almost entirely created by the score which conveys longing and desire in a way that couldn’t work in the script. Herrmann helped Hitchcock’s audience better understand the troubled minds of the characters they were watching onscreen. James Stewart’s obsession in both The Man Who Knew Too Much, in which he’s on a race against time to find his kidnapped son and prevent an assassination, and in Vertigo, in which his obsession with Kim Novak is fuelled by guilt and lust, is not only underlined by the repetitive, eerie score; it is partly evoked by it. Herrmann started his career at the top – and he ended it there too. His last film was Martin Scorsese’s psychological study Taxi Driver, one of the most important movies of the 1970s. In the years running up to his unexpected death, aged 64 in 1975, Herrmann, that most modern of movie composers, was enjoying collaborations with many rising stars of modern cinema. Since then, and thanks to them, his music has rarely been out of fashion. * I’ll be discussing Bernard Herrmann’s work on the Movie Cafe, BBC Radio Scotland on Thursday at 1.15pm, and The Filmhouse cinema in Edinburgh is showing a terrific season of Herrmann-scored films from today. Great article on a greatly talented man.